The Bebe Miller Company will celebrate its 30th anniversary next year, and in that time the company has experienced many shifts and transitions. Originally operating as a traditional New York City touring company for two decades, BMC is now more project-based and it typically develops work over a period of years, with its members residing in various locations around the U.S. when not gathering together in residences. The company’s unique shift and its ability to evolve has kept it alive when many other smaller modern companies closed their doors. It also helps that the company’s founder, Bebe Miller, has continued to work in the dance field, receiving commissions, earning awards and beginning to teach. Bebe Miller, a native New Yorker herself, formed the company in 1985. Known for her blend of “virtuosic dancing and fundamental humanity”, her choreography has been performed in venues around the country, in Europe and on the African continent. A four-time Bessie Award winner, she’s been commissioned by Boston Ballet, Dayton Contemporary Dance Company, Oregon Ballet Theatre, Ailey II, Philadanco and the UK’s Phoenix Dance Company. 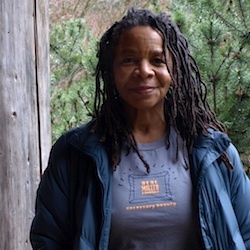 In addition, she has been honored with fellowships from the New York Foundation for the Arts, Ohio Arts Council and the Guggenheim Foundation, and was named a United States Artists Ford Fellow in 2010. In a phone interview Miller explained why and how her company shifted to its new format, giving simple and yet helpful insight. For her, it all started because of a job offer. “I accepted a position at Ohio State University in 2000 and for a while I kept going back and forth between Ohio and New York. But eventually I buckled down and moved here. 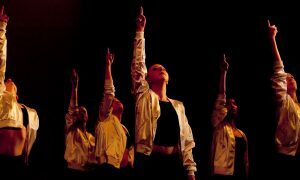 As the dancers and our projects shifted because of that, we had to shift our rehearsal and performance calendars,” she said. While many other directors might have disbanded the company or have hired a replacement as a result of this major life transition, Miller used her new resources to her advantage. “Working around my teaching schedule meant that we moved away from the traditional field model where you rehearse four or five hours a day a couple times a week for a few months in one city before performing to working in intensive intervals spread out across longer periods of time. But my personal transition of coming to Ohio State, also benefited us because then we had a space to meet, to set work, etc.,” she explained. Of the many benefits of her now working in a university setting, Miller is able to use the space for creation, she is able to form interesting collaborative partnerships, she is invited to try out special technology that captures motion, and sometimes, she has received special funding/support. Angie Hauser and Darrell Jones talk to Bebe Miller. Photo by Kathryn Spengler. Now, for the last decade since the major transition, the company has begun making new work over a period of years in long-term residencies that bring BMC dancers and project collaborators together for creative exploration, rehearsals and community-based activities. The New York rush has been removed in many ways from their day-to-day interactions. “Working like this has brought up a lot of thoughts for me. I think about our modern-day adrenalized working process, how we’re all pushing and sometimes forcing creation in order to perform it in a set of weekend performances. But there’s a question there about whether that’s good for organic innovation and then just in general, how do you sustain that? When things started to slow down for us I was really able to think about this more,” she said. Though, Miller does admit that there are downsides to long-term projects, like forgetting where you left off. Her two main dancers – Angie Hauser and Darrell Jones – both teach elsewhere and are often very busy. Hauser, who won a Bessie for her work on Miller’s Landing/Place, is an assistant professor at Smith College in Northampton, MA. 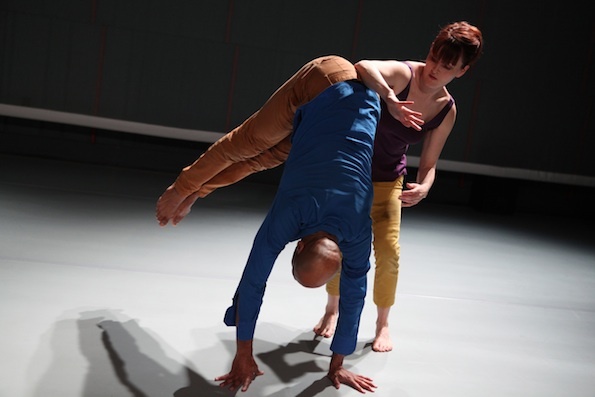 Jones, who has also performed with Urban Bush Women and Ronald K. Brown, is an associate professor at The Dance Center of Columbia College in Chicago. An upside, however, is that each collaborator has fresh inspiration when they arrive at each residency. Angie Hauser and Darrell Jones in Bebe Miller’s ‘A History.’ Photo by Michael Mazzola. “With our process, we really get to muse and dwell on an idea. We get to read, see movies and think on it. So you keep up with the creation in a different way and that makes the work feel more porous,” Miller said. The company’s latest project, Dance Fort, is another transition for the company. 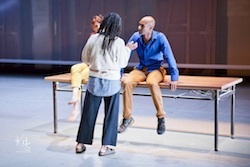 Not categorically a “dance work”, it is more of a web-based portal designed to share with a broad audience what it feels like to be inside a dance in the making. It’s described as “a technological play-space, part installation, part eBook, part website.” This is set to launch by the end of the year. Alongside her company’s many evolutions, Miller continues to instruct and set work on other companies. Just recently she restaged her 2000 work Prey on Emory University students in Atlanta. For more information on Bebe Miller Company, visit http://bebemillercompany.org. 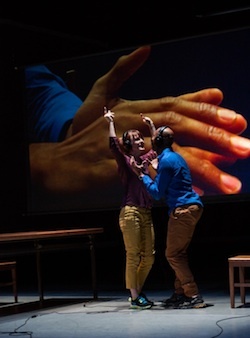 Photo (top): Angie Hauser and Darrell Jones perform Bebe Miller’s A History (2012). Lighting by Michael Mazzola. Photo by Julieta Cervantes.